Get Dirty Exhibition – Ambassadors present their experience to the Sanctuary Advisory Council. The room was packed and seemed eager to see and hear about what our ambassadors have done and learned during their “Expedition” starting back in October. 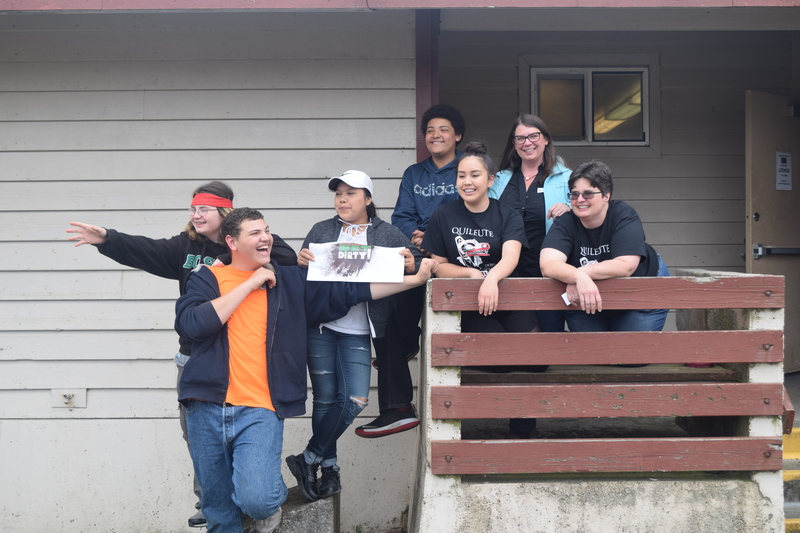 They shared what they learned about the different tools that they used, and showed their audience what those tools were, pulling them from a giant mesh bag that they brought with them. They also introduced everyone to the PHyter a prototype PH monitoring tool that uses light to measure the amount of H+ ions in a water sample. 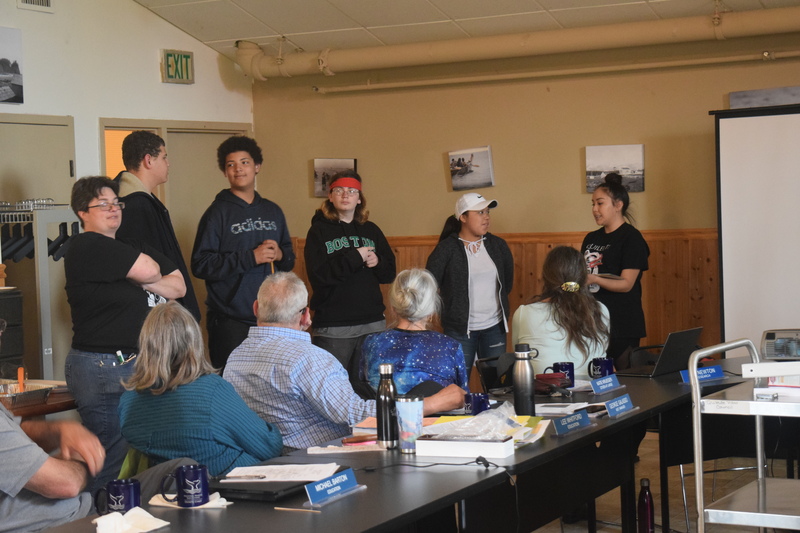 Then they shared the ups and downs of teaching their peers, and how they modified their attempts, and the Olympic Coast National Marine Sanctuary (OCNMS) advisory council listened and asked more questions to help them build their curriculum. The five Get Dirty Nickelodeon ambassadors: Ruby Sheriff, Kevin Ryan, Xavier Johnson, Addy Macedonio, and Gabe Johnson want to thank NEEF (National Environmental Education Foundation), Nickelodeon, and the OCNMS, with special thanks specifically to Robert Sendrey from NEEF who flew all the way from Washington DC to support and help them, and to Nicole Harris and Kathleen McKeegan from OCNMS for their regular support, opportunities, and the tools that we used.